At our Tuesday afternoon Baby & Me Drop-in we welcome first-time moms and dads and their babies, age newborn to before-walking. First-time parents with newborns often feel a bit overwhelmed when they come to a regular family drop-in so our objective is to create a calming and supportive setting for both parents and babies. Enjoy parent-to-parent connections as well as a circle time of rhymes, songs and games. 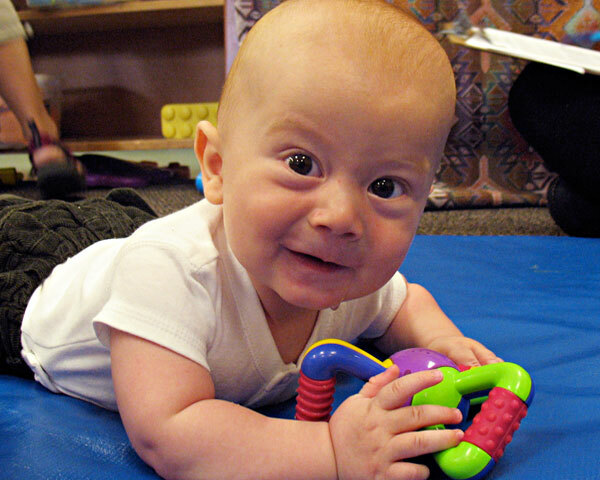 Circle time has so many benefits for babies and parents: fosters early language and literacy, brain development, social development and gives parents new ways to connect, soothe and enjoy their new baby. We’ll invite monthly guest speakers to respond to issues, information and questions that parents may have. Every Tuesday 1:00-2:30. Light refreshments available. Note: Unfortunately we cannot provide childcare for older siblings. But if your older child is in preschool or childcare elsewhere, please join us with your newborn to pre-walking children.